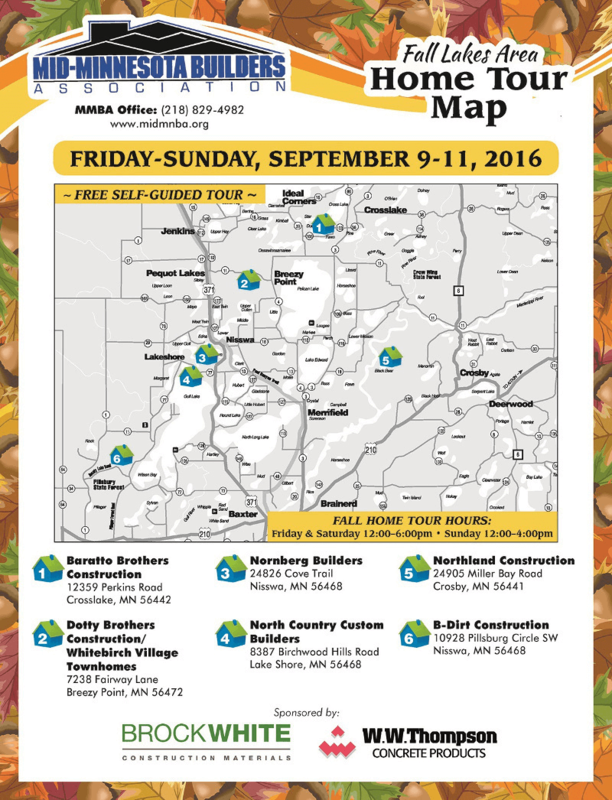 Visit B-Dirt Construction this weekend - September 9th-11th 2016 at the Fall Lakes Area Free Self-Guided Home Tour. B-Dirt Construction invites you to visit “The Retreat.” Not only is it the name of the Pillsbury Forest area development where our featured home is located, but it also embodies the feel of this craftsmanstyle home. 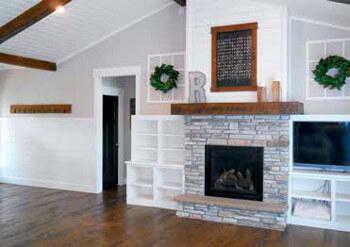 Rustic charm blends with white-painted nickel space walls, a trend that is quickly rising in popularity. Rough sawn kitchen and fireplace accents compliment the ash flooring. 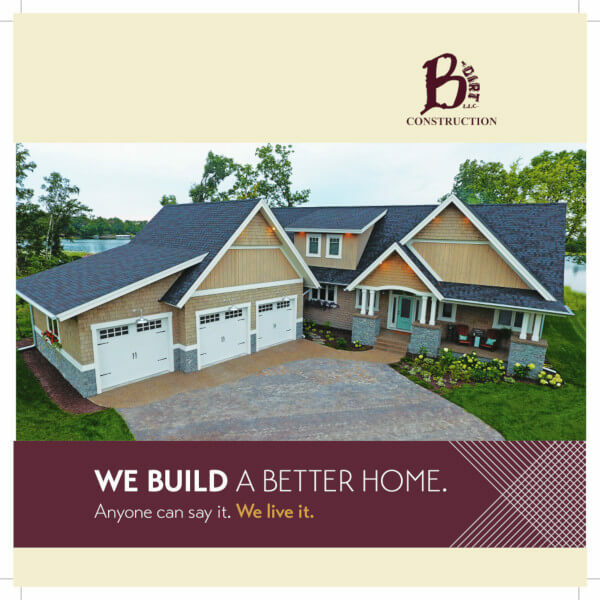 B-Dirt prides itself on detailed finishes that bring to life the vision of the families residing in the homes that we build. Directions: From Brainerd take Highway 371 North turn West on CR 77 (Pine Beach Road) to Beauty Lake Road to Pillsbury Drive SW to 10928 Pillsbury Circle SW. This is the year. You're finally going to build that dream cabin you've always wanted. You've purchased the lot, now you need the best builders. 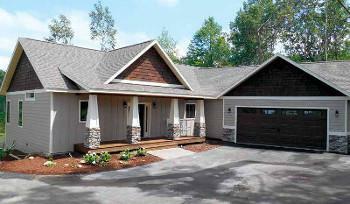 That's where B-Dirt, Brainerd custom home builder, comes in. 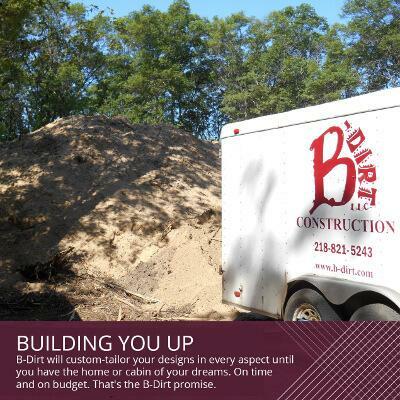 B-Dirt has a solid reputation for delivering the best projects, using superior products, on time and on budget. When you build with B-Dirt, you become part of the family. Our experienced staff works with you from the initial consultation through the finished project and beyond. Our on-site inspection will determine the best placement for your cabin, and we will work with you on every detail from the ground up. B-Dirt's CAD 3D software helps bring your vision to life, and we will add all the finishing touches that personalize your space and make it truly your own. Experience the B-Dirt difference building your dream cabin. Call (218)-821-5243 today. We look forward to meeting you! You love your cabin. It's your home away from home, and your refuge for years. Now you've decided to make it your retirement home and year-round residence. What comes next? B-Dirt! 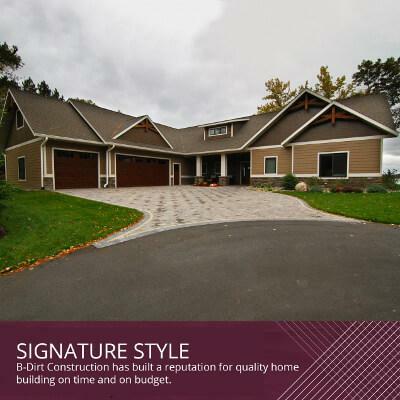 B-Dirt, Crosslake custom home builder, also specializes in remodeling and renovation. Whatever you need to turn your cabin into your permanent oasis, B-Dirt will get it finished on time and on budget. The first step is to set up your initial consultation, where we will meet with you on-site and determine the structure and plan for your project. We will consider all your lifestyle factors and how much space is needed for yourself and visitors, as well as any finishing touches you may want to add. 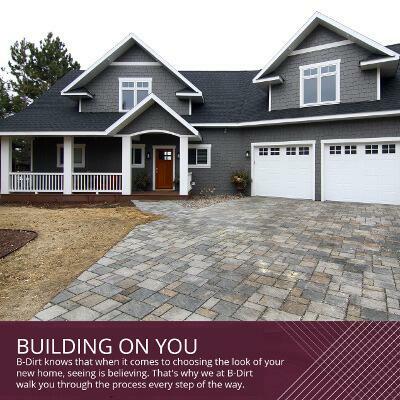 Adding on to your existing home or cabin, B-Dirt does it all. 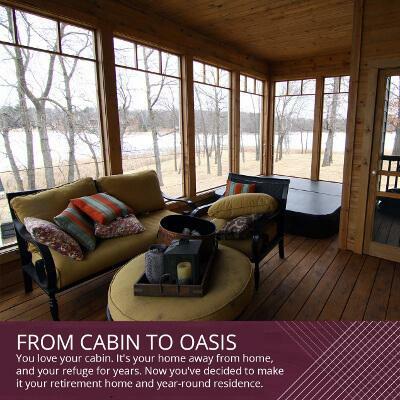 Call (218)-821-5243 today and get started turning your cabin into your retirement oasis! We look forward to building with you. 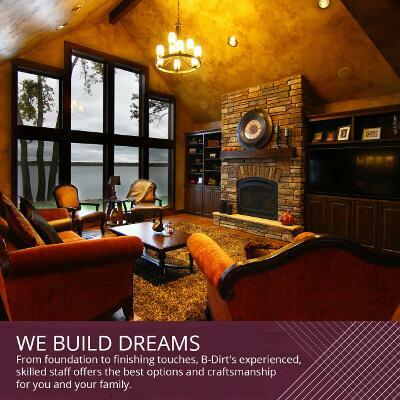 When you build with B-Dirt, Brainerd custom home builder, you get so much more than a custom home. 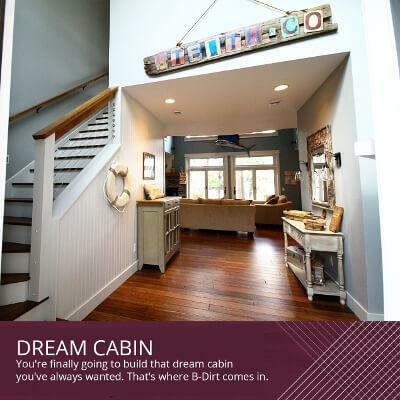 B-Dirt makes sure you get your dream home, down to the smallest details. Not only that, B-Dirt keeps you on time and on budget. We will find a way to make your vision come to life, without breaking your budget. B-Dirts team of experts walks you through the process of choosing all your finishes and finishing touches, offering you many options until you are satisfied. If there are details you haven't even considered yet, such as trim style on door frames or plumbing fixtures, B-Dirt will guide you through your selections and find a fit that is right for you. 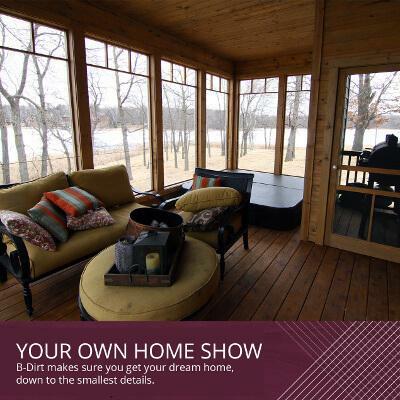 Call (218)-821-5243 today and discover what makes B-Dirt the perfect fit for your own home show-worthy dream home! 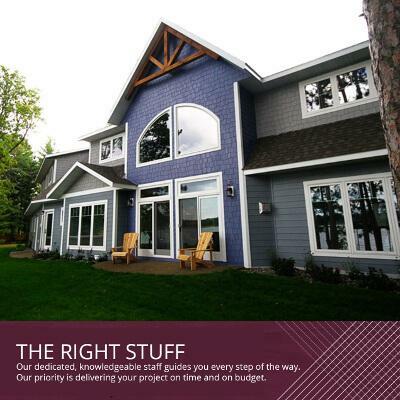 When it comes to building your dream home, B-Dirt, Brainerd custom home builder, has the right stuff. Our dedicated, knowledgeable staff guides you every step of the way. 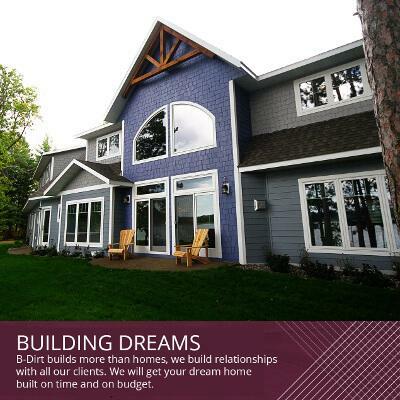 B-Dirt knows that custom-home building can be a daunting task, which is why we build a solid foundation not just with your home, but with you. Our priority is delivering your project on time and on budget. We have what it takes to keep your project moving on schedule, and ensuring that your selections are the ones that make into your home in a timely manner. At B-Dirt, this is what we do. We deliver excellence at every stage: from before the project starts and choosing exteriors, to interior painting and flooring, to light fixtures and other details. If you're going to build a custom home, you deserve the best. That's the B-Dirt difference. We'll even set your family up in a townhome for free (based on availability) until your project is complete. Call (218)-821-5243 today and set up your free consultation. What are you waiting for?